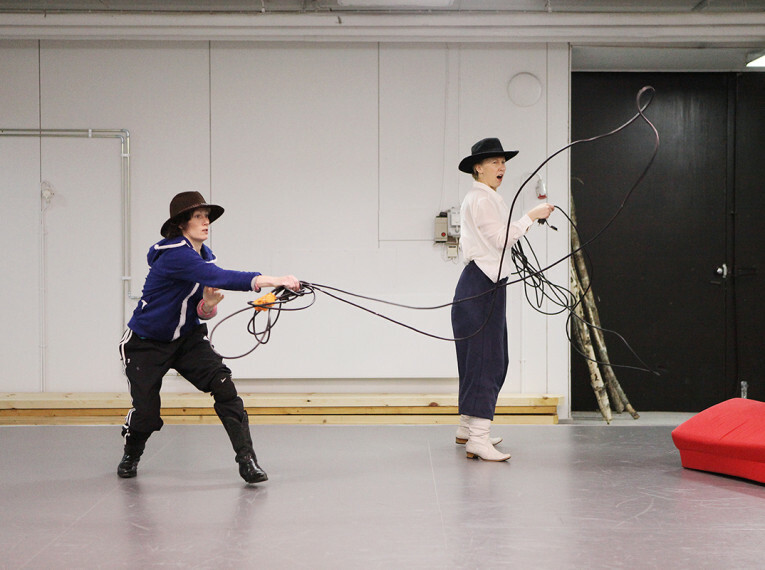 In Your Mind is Heli Meklin’s choreography, created and performed together with dancer Anne Hiekkaranta. 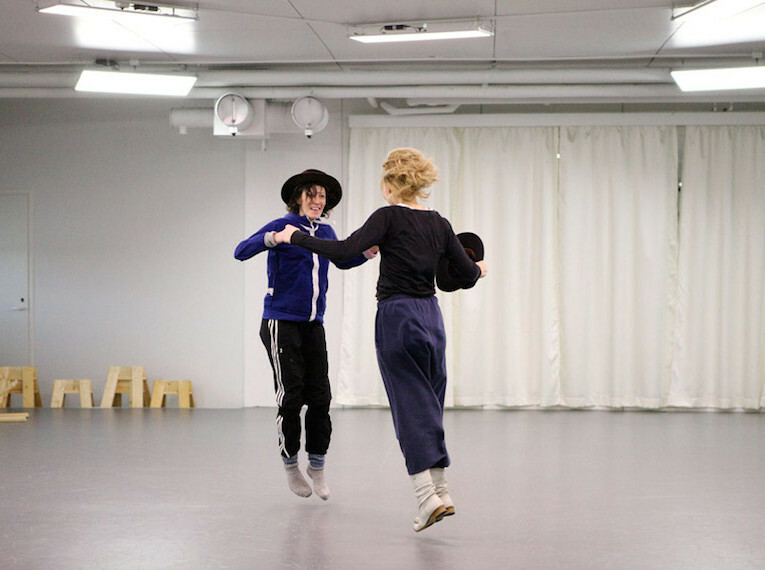 In Your Mind shows Heli Meklin and Anne Hiekkaranta as two oddly comic trans-gender cowboys, awkwardly stuck and in a sad and worn out repertory of habitual movements. 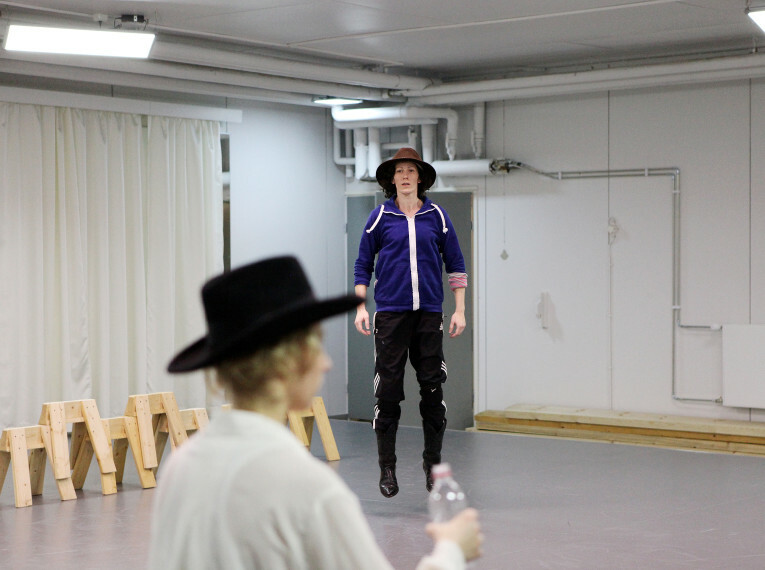 The characters inhabit a landscape inspired by slapstick, Spaghetti Westerns, Brokeback Mountain and Lucky Luke cartoons turning their bodies into lassos, horses and saloons. Riding, swearing and whoring, they show off their skills and try to break free of the entanglement of their identity, finally releasing themselves down a carefree catwalk of abandonment. 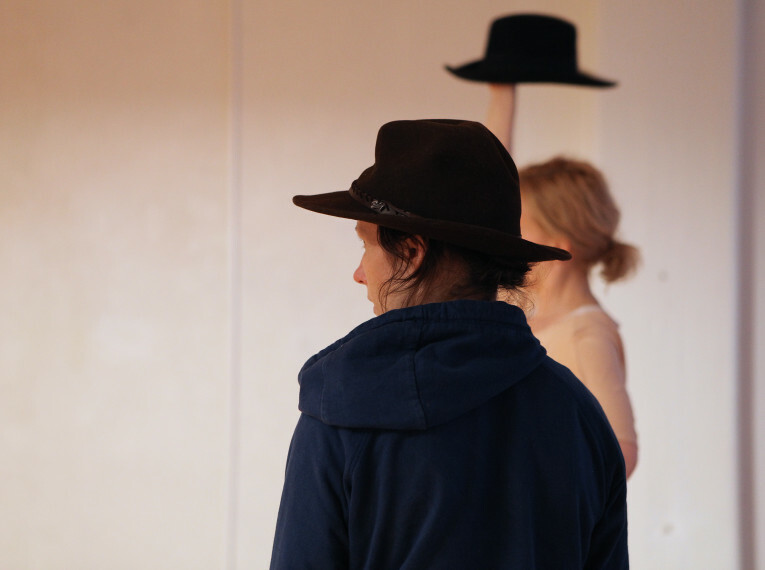 Onstage, the performers create a multi-dimensional space of recognizable and non-recognizable situations. Embodiments of masculinity, femininity, childhood and adulthood vary both in corporal expression and in the character of situations. Battling to survive, these characters are full of love, experiencing both the vulnerable and the poetic. In Your Mind is a part of Heli Meklin’s As if… -project. 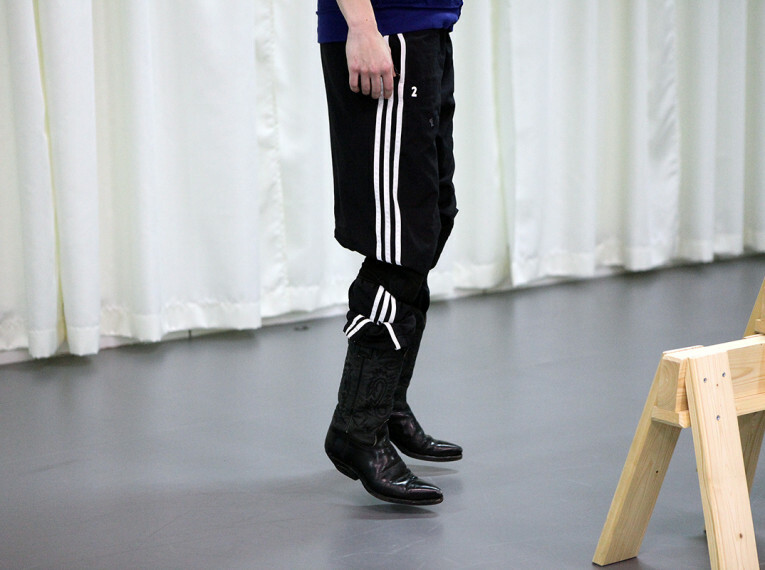 In the project she meets different people in order to learn about their interests, excitements and fears towards dance, physicality, body and movement. Based on the encounters Meklin creates unique performances for each performer. In Your Mind is created together with the work Move the way you like because I love the way you move. The two works are independent but are planned to be presented together. They complete each other and meet in unexpected ways. Themes such as corporeal ideals based on age, culture and gender, communication beyond verbal as well as breaking from the habitual are present in both works. See also Move the way you like because I love the way you move from As if…-project.